Rutabagas are the perfect root vegetable for making a hearty, healthy winter soup that trades calories for flavor. 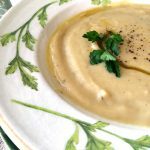 No matter the season, you can use this basic formula to create delicious creamy soups that are easy to make, and a great way to get more vegetables into your diet. Rutabagas are those large, turnip-like, root vegetables you see at the grocery store and have no idea how to cook. They are a cross between turnips and cabbage, and are part of the brassicas family of vegetables. Rutabagas are also known as Swedes, or Swedish turnips, and they are consumed as staples in many diets throughout the world. And for good reason, they are delicious! Rutabagas are inexpensive, low in calories, high in fiber, and loaded with nutrients. Considered a “starch” vegetable, rutabagas provide only one-third the amount of calories as an equal amount of potatoes, with only 22 calories per 3 oz serving. Besides being low in calories, rutabagas are considered a superfood, containing phytochemicals, antioxidants and vitamins that can help to fight cancer. They have a high fiber content which benefits digestive health, metabolic health and are loaded with vitamins and other essential nutrients. This recipe is both versatile and fool-proof. 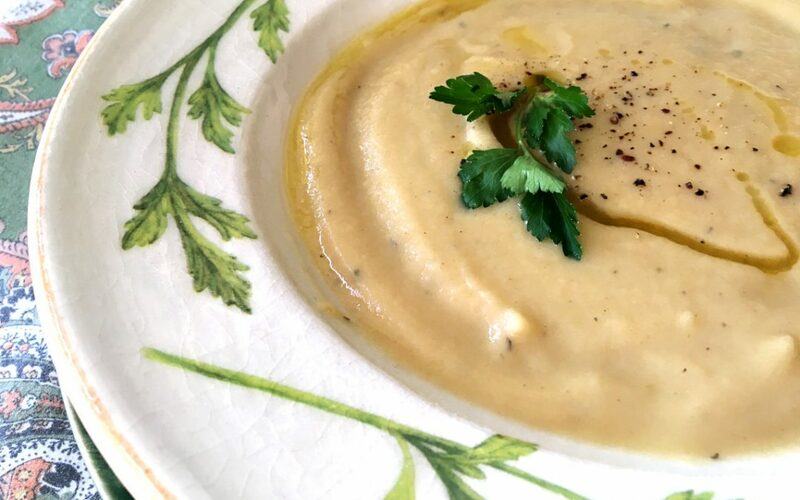 There is no wrong way to make Creamy Rutabaga and Parsnip Soup; the recipe does not have to be exact, and you should feel free to make substitutions depending on what you have on hand. Sweet potato or carrots can be substituted for parsnips, you can swap leeks for the onion, or celery root for the rutabaga. I encourage you to experiment with this recipe and start making soup a regular part of your healthy culinary repertoire. Be sure to add rutabagas to your diet for their health-boosting benefits, versatility and fantastic flavor. Heat olive oil in stock pot. Add chopped onion, carrot and celery, stir over medium heat 5 minutes. Add garlic and continue stirring 1 minute. Pour 2 quarts stock into pot, add rutabaga, parsnips, bay leaves, herbs, salt and pepper and bring mixture to a simmer. Cover and simmer for 40 minutes or until vegetables are cooked soft. Remove soup from heat and let cool. When soup is warm, not hot, remove bay leaves and puree in batches in a food processor or blender. Alternatively you can use an emersion blender and puree the soup in the pot. Soup can be thinned with additional broth or water if too thick. Before serving, stir in the juice from 1 lemon and adjust seasonings to taste.